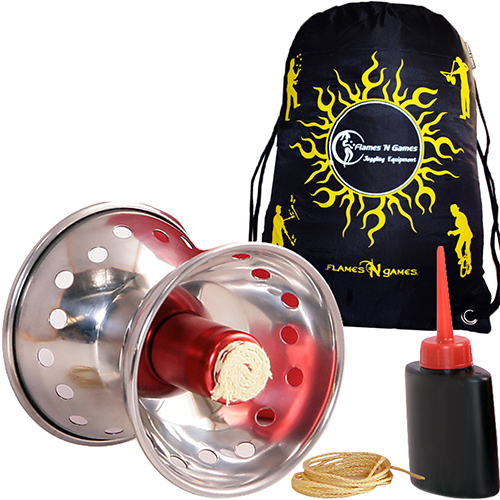 The Comet fire diabolo was the world’s first fire diabolo! 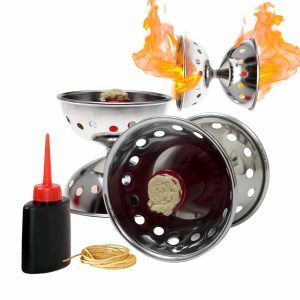 Perfect for fire beginners! Comes with bag, bottle and Kevlar fire string. The Comet was the world’s first fire production diabolo, a great classic with a world-wide reputation, justifying its position as the world’s best-selling stainless steel fire diabolo – Electro polished for a brilliant finish. Built in fuel reservoirs provide a longer burning flame and, more importantly minimise fuel spray and fuel wastage. Simply reversing the exposed wick will renew the flame size and burn time. 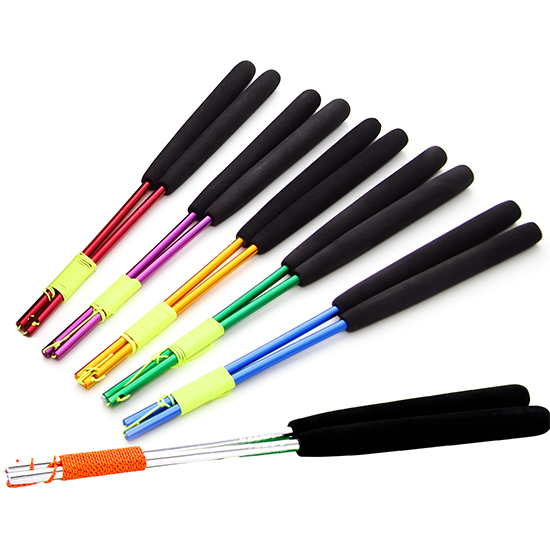 The array of carefully positioned holes help to locate the diabolo’s spindle during your performance. 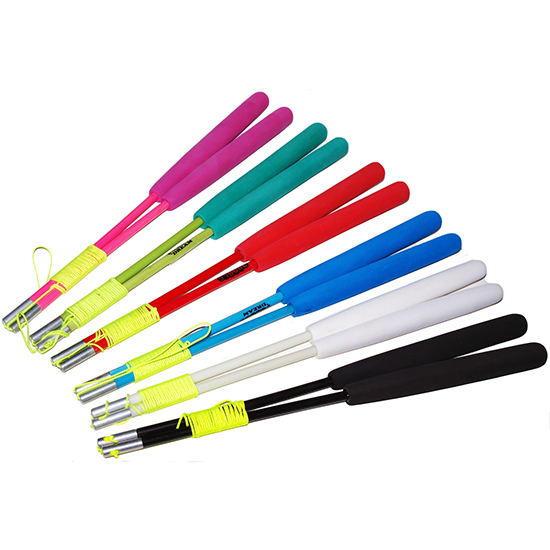 Supplied in a nylon, fuel-resistant bag and with a length of kevlar diabolo cord and a refuelling bottle. A great buy! Comes supplied with 2m of fire string, fuel bottle, and bag.